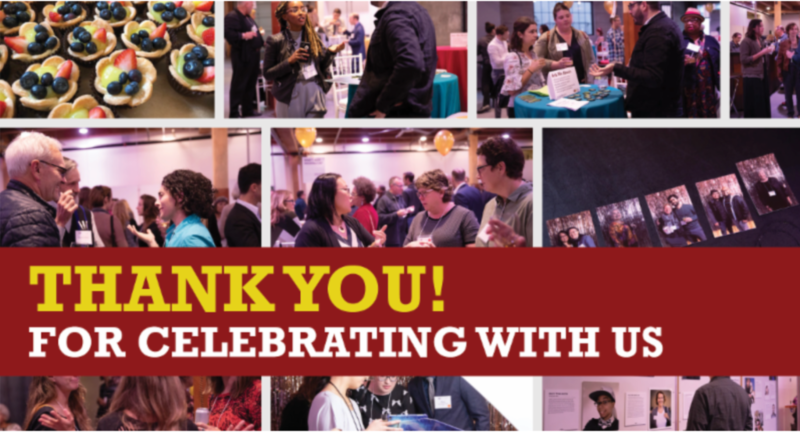 Thank you for celebrating with us at our Annual Dinner! In challenging moments – and indeed, the last few weeks have been tough for all who care about and fight for social justice – what we need most is to come together as a community: to be inspired by leaders on the front lines of that fight, to share joy and laugh with others, to listen to music, to dance. A highlight of the night was the powerful, poignant story told by Aaron Oravillo about his experience of being jolted from apathy into joining the Immigration Justice Giving Project in 2017, and how his life has been inexorably transformed ever since. Aaron called on those in attendance to join him in making a meaningful gift to SJF and our community stepped up like never before, raising nearly $110,000 – the biggest fundraising total ever for a SJF dinner! 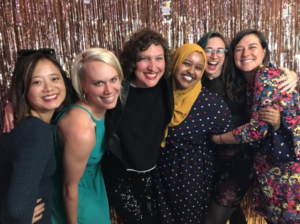 Those donations help Social Justice Fund NW hold a steady course in trying times and expand our efforts to support frontline grassroots community organizing. If you weren’t able to make it to the dinner there’s still a chance to give online and help kick off our fall fundraising campaign in support of the vital work ahead. Keynote speaker Monserrat Padilla, a remarkable leader in the immigrant justice movement, spoke about the dynamic work of her organization (the Washington Immigrant Solidarity Network, or WAISN) and also about growing grassroots efforts across the country to oppose the current administration’s draconian immigration policies. During the program we also saw videos featuring SJF grantees Pineros y Campesinos Unidos del Noroeste (PCUN), Montana Human Rights Network (MHRN), and Got Green (all three also appeared in our 40th anniversary video). The stories showed these group’s determination in the face of mounting odds: standing up to immigration raids in the case of PCUN, monitoring and countering white nationalist groups in the case of MHRN, and fighting gentrification to keep people rooted in place in the case of Got Green. 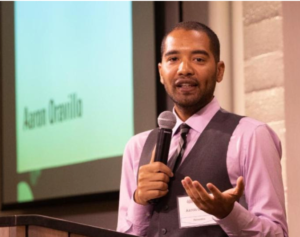 We are grateful for Aaron and the many others who have stepped up to take on the challenge of supporting grassroots, community organizing through your participation in SJF. PS: As long-time PCUN president Ramon Ramirez put it in one of the videos shown at the dinner, throughout the last 40 years SJF has been there at “strategic moments” for social movements in the Northwest. This is one such moment, and with your support SJF and our grantee will continue rising to the task.